In this Feb. 7, 2018 file photo, a nurse prepares a flu shot at the Salvation Army in Atlanta. In fact, the Maine Center for Disease Control and Prevention says five people died last week from the flu in Maine, bringing the total to 29 this season. Bennett strongly advises Mainers to get vaccinated for the flu, which she says will likely stay around well into May. She also advises that people wash hands, cover coughs and stay home when they're sick. Last year, there were more than 9,000 confirmed cases and 82 deaths from the flu in Maine. 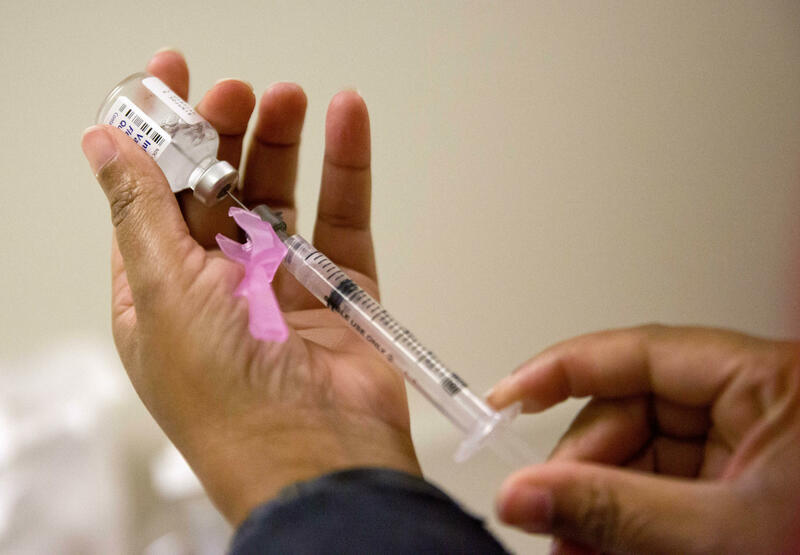 AUGUSTA, Maine - The Maine Center for Disease Control and Prevention is urging state residents to get vaccinated against influenza as cases of the disease are rising across the state.